የማዕከላዊና ምዕራብ ጎንደር ዞኖች ሰላም በመደፍረሱ የኢትዮጵያ መከላከያና ፀጥታ ኃይሎች ተሠማሩ! * Carrying arms with in Gondar city is not allowed. 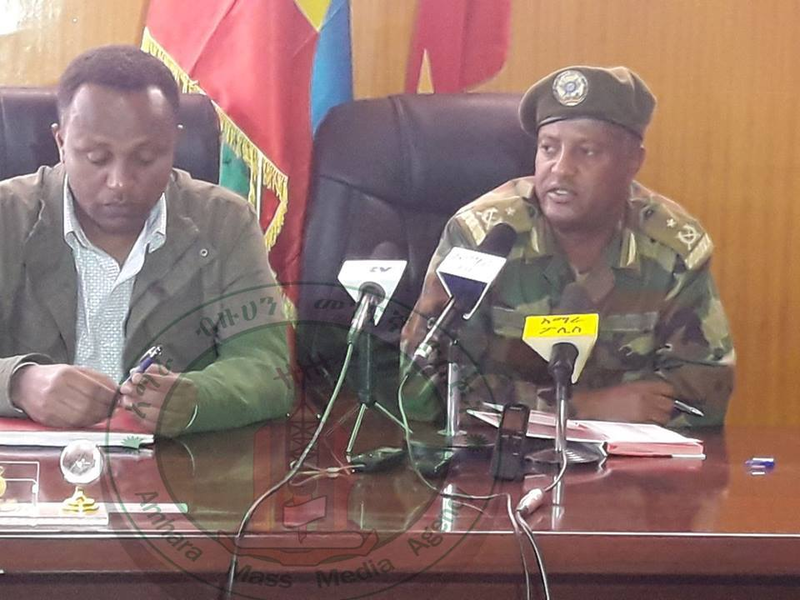 * Carrying arms with in 5 killometers range of the Gondar – Metema city main road is prohibited. * Carrying arms with in 5 killometers range of the Gondar – Humera main road is prohibited. * The police commissioner said, “no person or group shall act under the pretext of maintaining peace. Only government forces have that mandate”. * Security forces will “take measures” on anyone who violates the restrictions. Why did TPLF want Amhara chief suddenly removed from post? And why else so clumsy shenanigans? This is the most bizarre report I have ever read on The Reporter. It raises more questions than answers. Firstly, it is said that an emergency meeting of the Amhara regional state that received the request by Ato Ayalew Gobeze – if any – to be relieved of his post. Instantly, the same evening the former chief administrator was appointed ambassador to Turkey. It is a mass of clutter!